Donald Trump and Kim Jong Un met for a surreal five hours on Monday. Following their meeting, both men said a new friendship had formed. Outside of becoming besties in a short period of time, only vague pledges of nuclear disarmament were issued. Trump failed to reveal any type of promises from Kim Jong Un but promised to end the regularly scheduled military exercises between the United States and South Korea. It may be years or even decades before we fully understand if North Korea will actually follow through on nuclear disarmament. Kim and Trump signed a document that “reaffirmed his firm and unwavering commitment to complete denuclearization of the Korean Peninsula,” Trump said. Trump in exchange would “provide security guarantees” to North Korea. Full details for those agreements have not been released at this time. Before his meeting, Trump had promised the US would aim for “complete, verifiable and irreversible denuclearization.” Instead, Kim only offered the same promise he made in April when meeting with South Korean President Moon Jae-in (emphasis ours). Trump admitted that the denuclearization process was just beginning, “We will do it as fast as it can mechanically and physically be done,” he said. 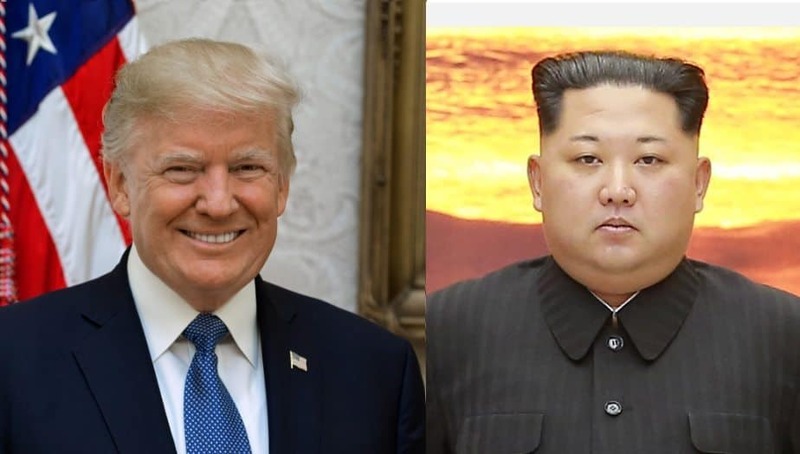 Trump’s critics have noted that it was telling for Trump to claim a quick and personal bond with a brutal dictator responsible for his own people’s deaths and the murder of American citizens. Trump did acknowledge Otto Warmbier’s death inside a North Korea prison camp, claiming that his murder led to the historic summit. The summit, like many North Korean events, featured plenty of surreal moments, including the two men sharing a dessert of Häagen-Dazs vanilla ice cream. Dennis Rodman also made a televised appearance, openly weeping as he was interviewed by CNN’s Chris Cuomo. Jong Un’s own people also noticed how surreal the event had become. “Many people in the world will think of this as an (inaudible) form of fantasy … from a science fiction movie,” his translator was overheard saying. At least part of Kim and Trump’s talks are not known. The two men quickly retreated inside for one-on-one talks that only included a translator, breaking from a standard practice that includes at least one aide being present for high-stakes talks. At one point, Trump showed Kim a flash video he had produced for the event. The video encourages Kim Jong Un to open his borders for outside investment. Jong Un had the opportunity to experience a flashy world for the first time while walking around the Sheldon Adelson owned Marina Bay Sands hotel and casino.